The future star of everything from Midsomer Murders to Coronation Street, via A Bit of Fry and Laurie and New Tricks, was born in Leigh-on-Sea and started his professional career at the Palace Theatre – as the back end of a pantomime animal! 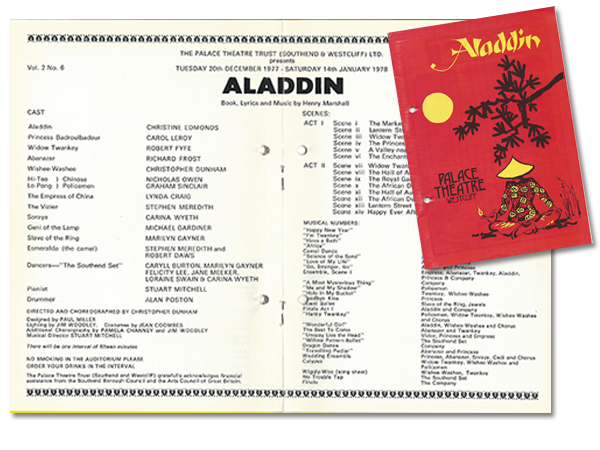 The occasion was Aladdin, back in December 1977, and Robert was billed, with fellow thespian Stephen Meredith, as “Esmeralda the Camel”! 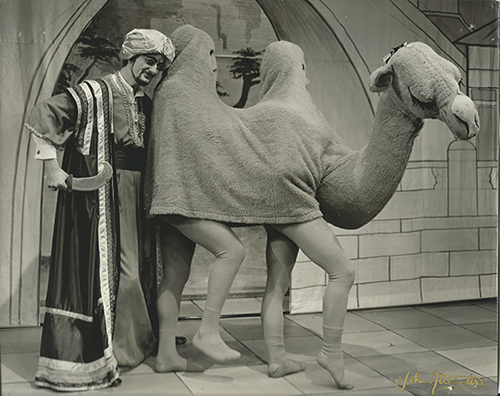 The start of a wonderful career: Robert (and Stephen) as Esmeralda the Camel! Following that rather inauspicious start, Robert’s career has blossomed. His many other television credits include The Royal, Roger Roger, Jeeves and Wooster, Rock and Chips, Casualty and Doc Martin. For Outside Edge he was nominated as Best Actor at the British Comedy Awards. His rather more recognisable theatre work includes Alarms and Excursions, The Secret of Sherlock Holmes, Public Property, Yes Prime Minister, Diary Of A Nobody, Blackbird and Caught in the Net. Robert regularly performs Summoned by Betjeman by Christopher Matthew, in which he portrays the late Poet Laureate and ‘Teddy bear to the nation’, John Betjeman. A regular contributor on radio as actor and broadcaster, Robert has also found time to become a novelist: His first crime novella, The Rock, was published in 2012 and made the top of the Amazon Bestseller list five times. Robert has always been delighted to return to the Palace. 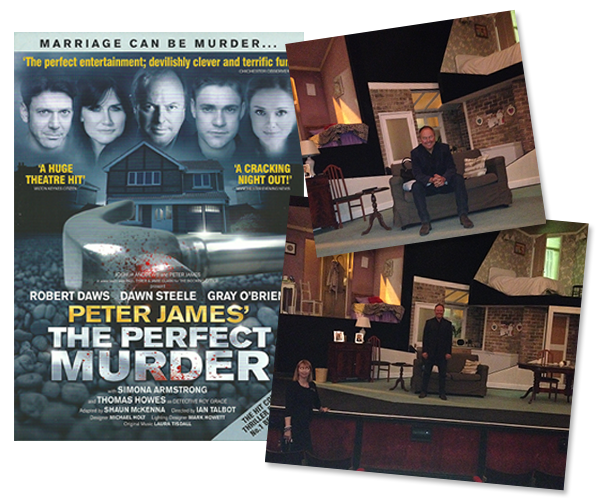 In September 2014 he appeared in the all-star mystery The Perfect Murder, and was only too happy to pose on the stage. 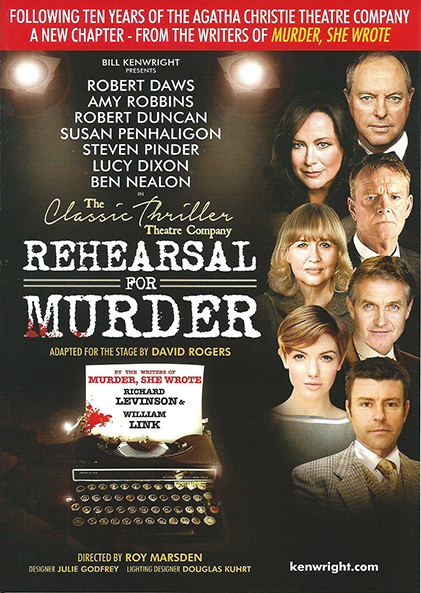 He was then back at the Palace in May 2016, starring in the thriller Rehearsal for Murder. This page was added by Ian Grant on 20/10/2014.